One of the two exhibitions in this year's festival is the Helsinki opening of Weltstadt: Who Creates the City?, a Goethe-Institut project being exhibited at Laituri from 24.9 - 17.10. 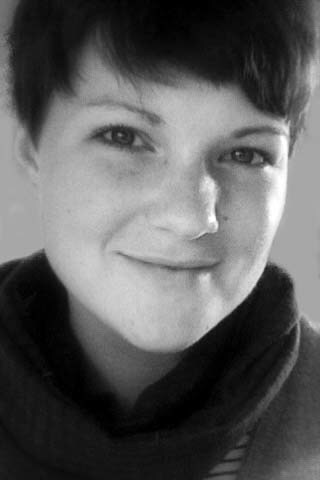 We're thrilled to have Leona Lynen, the project editor, coming to Helsinki to introduce Weltstadt at the opening, and to also participate in a panel discussion with several local urban/cultural actors. We asked Leona for some background on her involvement with the exhibition, and her thoughts on the future of such initiatives. Pixelache: How did you first get involved with the Weltstadt project, and what was the working process like with the curators and project managers? It seems like an immense amount of material to work through! Leona Lynen: I was asked to join WELTSTADT as an editor but the immense scope of the different projects and people involved quickly demanded a deeper involvement. Each of the curators had their own project which they initiated and were primarily focused on – Angelika Fitz was involved with WE-TRADERS, Matthias Böttger with NÓS BRASIL! WE BRAZIL! and Tim Rieniets with the URBAN INCUBATOR: BELGRADE. As I was in close contact with all of the 10 participating projects and the respective local Goethe-Instituts from a rather early stage on, my role was to keep an eye on the overall theme of "who creates the city?" and the varied topics each of the projects touched upon. In order to understand the vast scope of the 10 WELTSTADT projects it was crucial to carve out ten distinctive foci that the projects could focus on in their respective newspapers that would later form the exhibition. This exhibition has such an broad scope - what were the boundaries in terms of content? Did the five main sections emerge from the material or were they pre-determined? It was very difficult to filter out single stories or aspects as each of the initiatives could have filled the entire exhibition alone. Our goal was, however, to show the variety of actors involved in shaping today’s cities and how these often informal constellations of people are replacing or slowly even superseding the traditional "experts" and centrally organised structures still influencing the face of cities today. As we went through all the material that we had gathered, it became clear that the five themes of the exhibition – "new civil society" / "city as a collective performance" / "new middle class" / "informal formal strategies" / "self-organization and public administration" – were underlying all 10 projects and that further discussion could actually become more interesting if we were to prescind from the projects and rather start talking about these five main themes instead. Thereby we were also able to open up and start talking about what they could mean elsewhere, in other cities. Weltstadt exhibition in Plovdiv, Bulgaria (2014). The Weltstadt exhibition has opened in many places around the world, in cities that are featured in the exhibition and ones that are not (such as Helsinki). Having been to several of these exhibitions, have you found the audiences to have similar interests and reactions, or have you been surprised? It is exciting to see that the concept of the traveling exhibition works out so well! People can just download the material and print it on a normal A3 printer. It’s a very flexible and affordable format, even for smaller institutions and festivals. This way, the exhibition as been to Prague, New York, Johannesburg, Riga, Bangalore, Plovdiv and will continue to travel to many more places such as Tel Aviv, Chicago, San Francisco, Tirana, Istanbul, etc. Apart from the opening in Berlin, I have only had the chance to attend the exhibitions in Riga and Bangalore, two cities that couldn’t differ more. Surprisingly though, the reactions veered towards similar directions: questions of the right to the city, the role of culture and the danger of falling victim to one’s own success, access to space, ownership… whether booming Banglore or shrinking Riga, the questions and concerns of people seemed to be quite similar. Of course, every city has its unique character and history, however, current developments all around the world lead citizens to ask: who creates our city? Who will shape its future? And more and more these people are realizing, that they can do something, that they can take action and that it has an effect on the city. As one of the participants in Madrid said: "It’s about taking possession of your own city again". The goal of WELTSTADT was maybe just that: to inspire people, to provide them with an international platform and to support their mutual exchange. We hear so much about 'crisis' in today's world, in many forms. 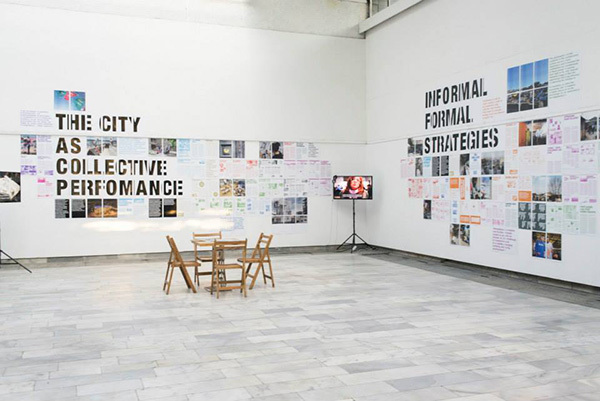 Sections of Weltstadt directly address this mentality, looking at emerging or alternative approaches to economic and culture production in crisis-affected locations such as Lisbon, Madrid, etc. Do you feel the language of crisis is beneficial to grassroots movements? Is there a psychological difference amongst actors that you have worked with in the 'crisis' cities as opposed to places that are free of the supposed 'crisis‘? Against the current humanitarian crises taking place at the outer borders of Europe, the economic crisis within Europe that was very present when we worked with the Weltstadt initiatives, feels almost futile now. That doesn’t mean I am ignoring the fact that many people in Portugal and Spain suffered and probably are still facing a hard time today, also because the crisis was manifold and also entailed many spatial effects such as privatization of public space, social polarisation, neoliberal urban development etc. One often hears that crises are moments of transition and hold the possibility of change for the better. Just as I view the current migration influx as a huge opportunity for German society, the economic crisis that severely hit Southwest Europe was a breeding ground for unknown forms of solidarity and triggered social proximity. So, yes, one could observe that people in the crises-affected cities were taking the initiative to reappropriate space, collectively, and from necessity they came up with socially compatible solutions. It was the crisis that brought people together. It’s almost cynical though: in times of a growing lack of solidarity within our societies, those most affected by the crises stepped in the social vacuity and created new forms of solidarity and cooperation. One has to acknowledge though, that many are tired of the crisis being presented as an opportunity for them – they would have preferred if there wouldn’t have been a crisis. 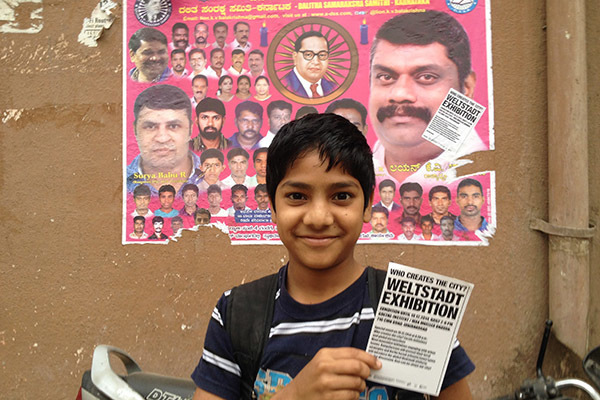 Weltstadt reaches Bangalore, January 2015. You'll be back in Helsinki later this year for another Goethe Institut project, In Transit, with our friends from Yhteismaa and Oranssi (among others). Can you tell us briefly about this project and what sort of goals you have for it? Do you have any expectations of Helsinki as a city? IN TRANSIT is a collaboration between the Goethe-Instituts in Sweden, Norway, Finland, Denmark, England, Scotland, Ireland and the Netherlands. It can be seen as a continuation of WELTSTADT but with a stronger focus on the organizational forms and strategies that the initiatives employ rather than focusing on who they are. We have chosen 15 civic initiatives that are actively engaged in seeking qualitative improvements in living conditions in their urban neighbourhoods or rural regions. We considered it important to not only focus on cities but to also ask what is happening outside of them. In order to explore that and to facilitate cross-cultural exchange and mutual learning the initiatives are going on 8 different study trips in the region. Each trip has a specific theme, e.g. "social polarization", "access to space", "the learning city" etc. and also involves the participation of one German initiative and exchange with the local public. IN TRANSIT Helsinki will take place from November 19-21 and is organized in collaboration with Oranssi and Yhteismaa. The trip will focus on alternative living and housing and will feature a public discussion on November 19. Stay tuned for more. Finally (we're asking everybody this) - what does 'Living Spaces' mean to you? Whether in nature or in built-up areas, too much human interaction and planning can destroy the living. Yet, to me, Living Spaces (at least in cities!) are made by people – for people. Not planned and predetermined off the drawing board, but rather developed by hazard, by layering different narratives on top of each other so that ultimately space evolves. A Living Space is free of a dedicated use and allows people to shape it while they interact with it, it’s constantly changing and therefor alive.